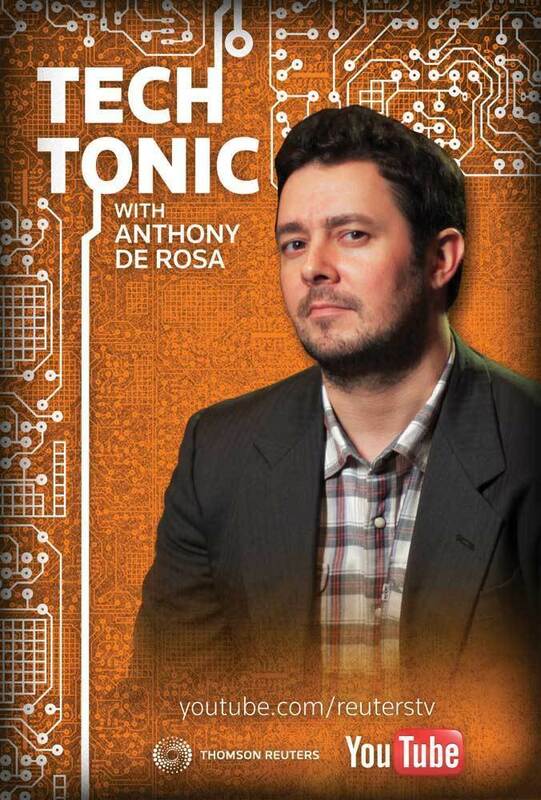 Tech Tonic - Adam Wiesen is a multimedia designer in New York City. Starring Anthony De Rosa, this series covers the constantly changing landscape of technology. The opening sting, L3s, and background we recorded against were built in After Effects and Illustrator. There are two variations on the opener: one that runs at the top, which is slightly longer, and one that plays after the opening teaser. The challenge was making sure the graphics assets weren't campy, but conveyed the Reuters brand in a way that reflected elegantly on the subject matter of the show. Also, a promo poster I did for the series. In theory, this is sitting up on a wall somewhere at YouTube's offices.